Happy Spring! It seems the cool weather has every one, even Mother Nature thinking it’s still winter. Today happens to also be Macaron Day. 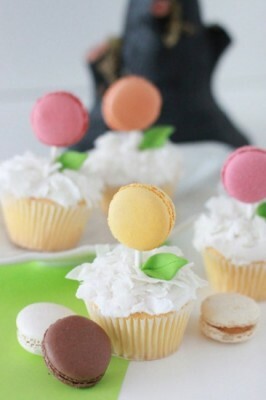 As a dessert lover and a fan of all things Parisian, I love macarons. 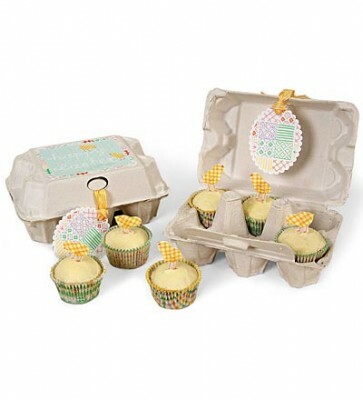 I dare to ask, have you noticed how they are kind of the new cupcake, Paper Source has a good selection of macaron gift items! If you are like me and love both macarons and cupcakes and of course you love spring, you could make these macaron cupcakes like Polka Dot Bride made! 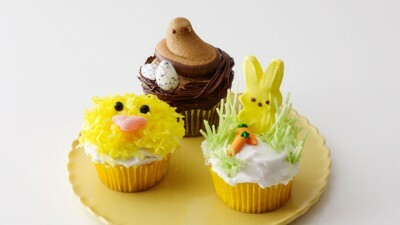 They are colorful, springy, and the perfect way to enjoy both treats! I know I have shared my love of Sur La Table in the past and I am so excited that in the last few months a store opened up at my local mall. 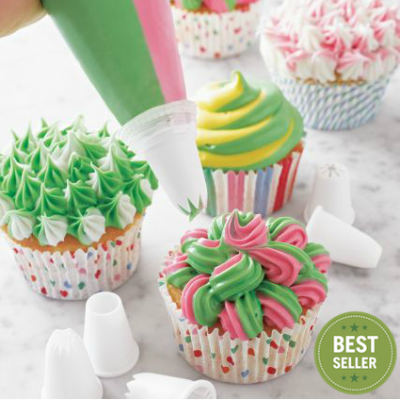 The only down side to having the store near by is I see and want things like this Duo Icing Set. What an ingenious idea! For $14.95 you get eight bags and six tips. The bags are not your ordinary bags, these bags have a divider down the middle so you can simultaneously pipe two colors at one time! 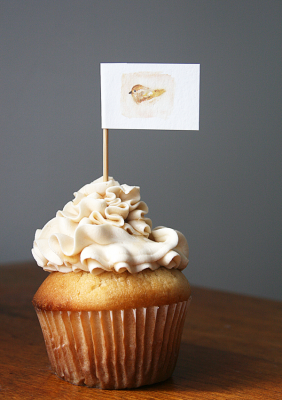 I found these handmade cupcake toppers featuring a watercolor bird painting on Poppytalk Handmade. The toppers were created by artist Renee Anne. 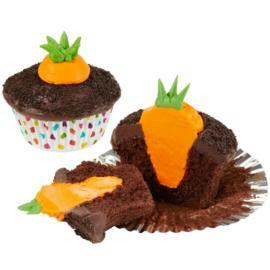 Renee Anne sells the toppers on her Etsy site for $10.00 for a set of 12. 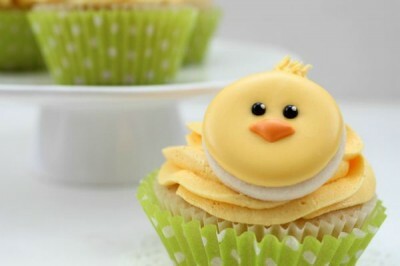 There are also bee and rabbit cupcake toppers; each topper has a matching garland available for sale on Renee Anne’s Etsy.